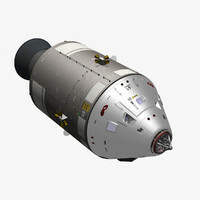 The intellectual property depicted in this model, including the brand "nasa", is not affiliated with or endorsed by the original rights holders and must be used under editorial use restrictions. 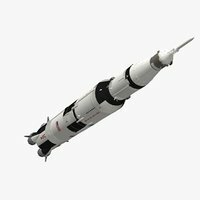 This is a High Definition accurate scale model of the Apollo Mobile Launcher Umbilical Tower that was operational between 1966 and 1975 and launched both Apollo 8 and 11. 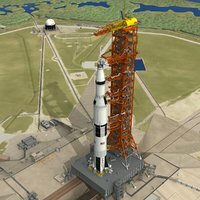 Please download and read the free 'Apollo Mobile Launcher Reference Guide' PDF for further in depth information about this product. Modelled with precision using the original architect's scaled drawings, along with extensive photographic and video research spanning over two years. This model has been built to accurately align with both my Saturn Apollo and Launch Complex 39A (Apollo) models and as such completes my Saturn Apollo launch trilogy. 87 texture and bump maps offer down to the rivet detail. Additional high resolution decals are provided for warning and information signs. 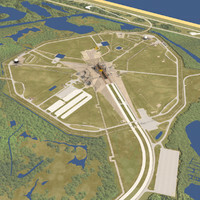 This model DOES NOT include the Saturn Apollo launch vehicle or the LC39A launch pad. 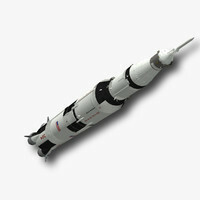 Please purchase these models separately for the full launch scene. Default Light & camera is included in file for Signature image scene. Units used: Feet and Inches. 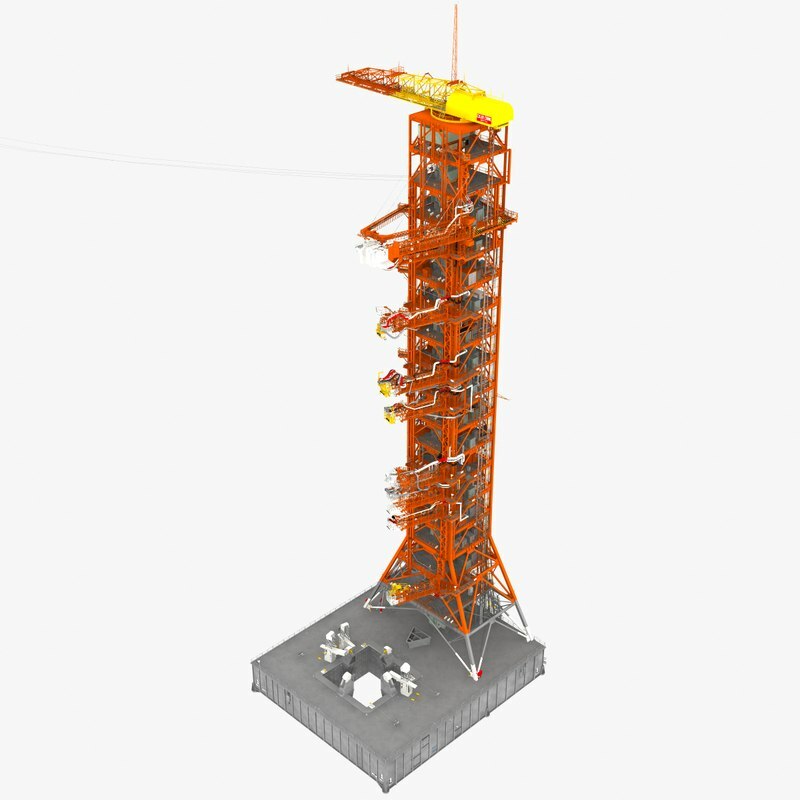 Model is 469 feet high and 160 x 136 feet wide. Pivot points and morph targets are preset in Layout file for all animatable features/layers shown in animation preview video files. Fully compatible with my Saturn Apollo and LC39A (Apollo) models (NOT INCLUDED). See notes in free download section that explain minor additions to these 2 models included in ZIP files for customers who have already purchased them. 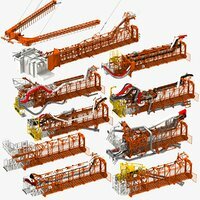 Also check out the free download ZIP file that includes images and videos of all 3 combined models.